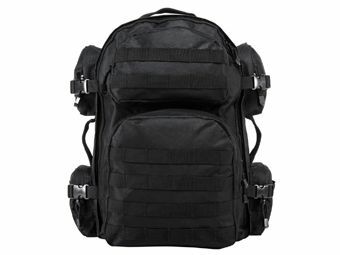 The Ncstar Vism Tactical Back Pack (Black) has a large zippered clam-shell main compartment and an internal zippered pocket. A separate divided compartment for a hydration bladder lets you convert the pack into a hydration pack. 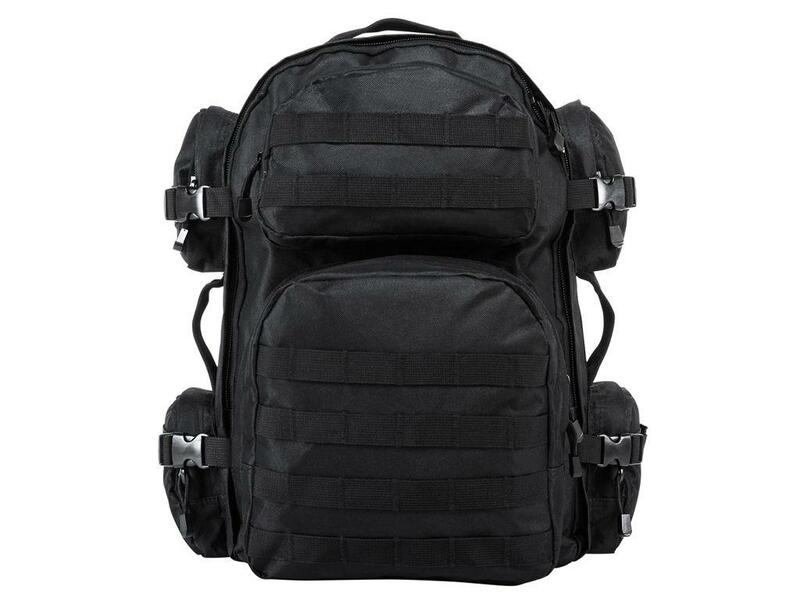 Features include padded shoulder straps, waist and sternum straps, two adjustable compression straps on each side of the military backpack and six external zippered pockets providing ample storage space. The front pockets and bottom of the backpack has PAL compatible webbing to make the Ncstar Tactical Back Pack a modular system. The backpack also has carry handle straps on the top and on both sides of the backpack.